The traditional Thai fare is fresh and light therefore not only Thai people, but folks from other parts of the world also admire this culinary. Similar is the case with the people of Dubai, who love to visit Thai Wok Restaurant that is a home to delicious and aromatic Thai cuisine in this desert. Visitors can enjoy intense to subtle dishes as per their liking in this eating place, where hardworking chefs use fresh ingredients along with imported seasonings and herbs from Thailand to make the lip smacking delicacies of the region. Moreover, the prices are also reasonable, which makes this hidden gem a must visit place for all the foodies. Thai Wok is a home to intense flavours, which are created from the freshest ingredients to give the Thai food its authenticity. Master Chefs from Le Meridien Thailand and Four Seasons, Krissana and Saing are experts of preparing various regional dishes of Thailand. To bring the rich flavours, these chefs use seasonings and herbs, which are imported directly from Thailand. Fresh seafood and other meats are blended with these imported herbs to cook the best Thai fare in the town. Top dishes of this eatry are shrimp cake, grilled beef salad, penang curry, shrimp/chicken with cashew nut, beef with sweet basil, fish with tamarind sauce and pad thai. Guests can dine-in in the humble seating of this eatery or they can carry their food away or avail its free home delivery services to relish the fresh and delicious Thai food. 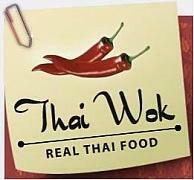 With online ordering service you can place the order at Thai Wok after going through its menu. This eatery opens on all days and offers lunch from 12:00 pm to 03:00 pm, while the dinner is dished up between 05:00 pm and 10:00 pm. Near Sheikh Zayed Road, Al Barsha, Dubai, United Arab Emirates. Head in the southeast direction from this metro station, then turn right and afterwards make a slight turn on the left side that will bring the walker to another turn that goes on the right side. After that pedestrian will take a slight left turn in order to make the final turn on the right side that will lead him or her to the destination. Al Barsha, Lulu Supermarket 2 – Dubai bus station is 7 minutes walk from Thai Wok Restaurant, as the distance between these two spots is close to 550 meters. To do so a person should head in the northwest direction after arriving at this bus stop by using bus number 93 or F30 and then turn left. After that he or she should make a right turn before making a slight turn to the right side after which pedestrian should make a left turn and then turn slight right again in order to make final turn on the left side from where destination is not too far. Check out map for directions.